We are currently most concerned about the 2012 Draft Marin County Housing Element. The plan targets Tam Valley & Almonte with potential high-density development and accelerated population growth. But with crazy traffic, frequent flooding, overcrowded schools, sensitive natural habitat that is increasingly constrained and a lack of key retail (We don't even have a grocery store! ), the community is not prepared to handle this type of growth. 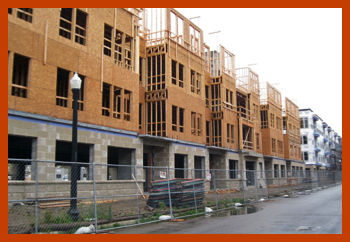 The Housing Element will be adopted in late Fall 2013. So, although not much time, there is still time to change the plan. To ensure that any proposed development in Tam Valley and Almonte is subject to thorough permit review, thorough environmental review and full enforcement of the California Environmental Quality Act (CEQA), with no exemption or streamlining of CEQA allowed. The only way we can accomplish the above goals is if all of us, …every single one of us, work together to form a strong political voice. So, if you agree, click on the below "take action" button to learn what you can do to help. Please read below to learn more about the plan and our related goals. Each Marin County Housing Element includes an Available Land Inventory that consists of enough Affordable Housing Opportunity Sites to meet the projected housing needs of Unincorporated Marin for the housing element’s planning period. Five Tam Junction sites have been identified as potential Affordable Housing Opportunity Sites. Three of these sites are proposed for inclusion in the current 2012 DRAFT Marin County Housing Element (2007 to 2014) and two are proposed for inclusion in the next Housing Element (2014 to 2022). Together these Tam Junction sites comprise 11.40 acres. If they remain on the list of Affordable Housing Opportunity Sites, they will be targeted for high-density housing with a density of up to 30 units per acre (or up to 40 units per acre if the State Density Bonus is granted). According to the Countywide Plan, our commercial mixed-use areas are supposed to have a CAP of no more than 100 new residential units, which is already too many. So, it is curious as to why the Housing Elements’ EIR is evaluating 182 units. Encouraging new residential development, especially high density development, in these lowlands would increase the risk of undue harm to the environment and undue hardship, illness &/or injury to the residents. One Bay Area Plan - MISSION ACCOMPLISHED! 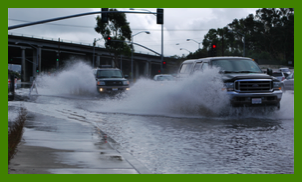 The One Bay Area Plan (AKA Plan Bay Area) was adopted on July 18, 2013 and is a state required Bay Area regional plan that will plan for transportation, housing and land use over the next 25 years. It concentrates high-density, mixed-use commercial and affordable housing near transit hubs. The plan concentrates the majority of this development in Priority Development Areas, also know as PDAs. **The Tam Valley and Almonte lowlands, which are located within a ½ mile from Hwy 101, were included in the Hwy 101 Corridor Priority Development Area (PDA) (Please see the above map). Each jurisdiction in Marin County is mandated to follow the One Bay Area Plan. According to the plan, between now and 2040, Marin County is supposed to accommodate an unrealistic amount of growth, specifically 7510 hew housing units and 18,390 new jobs. 38% of this new housing and 22% of these new jobs are anticipated in Marin’s PDAs. 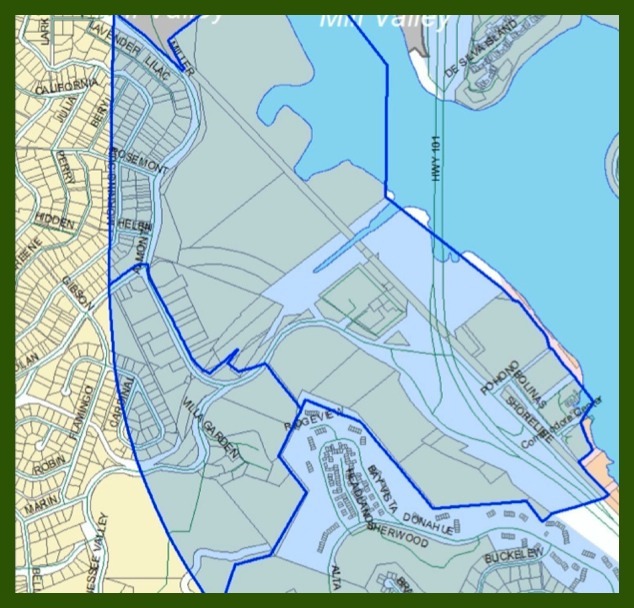 Yet, Marin’s PDAs comprise less than 5% of land designated for development in Marin. 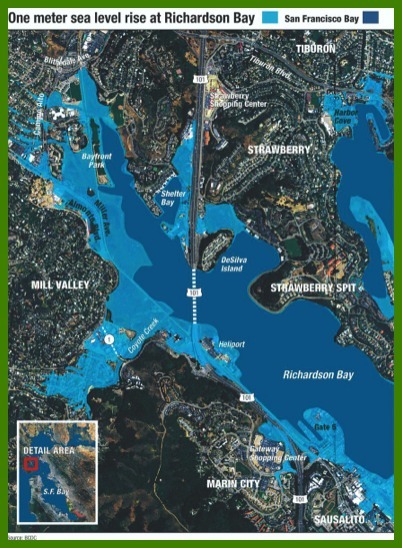 The result will be concentrated high-density development in Marin’s PDAs. This meant that as long as portions of Tam Valley & Almonte remained in the Hwy 101 Corridor Priority Development Area (PDA), these areas would have been targeted for high-density development and accelerated population growth. 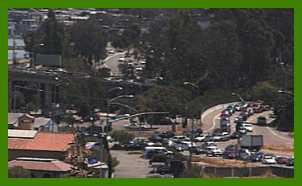 Fortunately, on July 9, 2013, largely due to community activism, the Marin County Board of Supervisors unanimously voted to adopt the "Resolution of the Marin County Board of Supervisors To Modify the Priority Development Area", which included removing Tam Valley, Almonte, and Manzanita from the Hwy 101 Corridor Priority Development Area. CONGRATULATIONS! and MANY THANKS to all of you who helped bring this important accomplishment to fruition! For more detailed information about these plans as well as other issues, please visit our issues page by clicking here.